Careful now Reinhard, Luneberg is going to watch you like a hawk. The 2nd episode of the arc sees the introduction of the Rosen Ritter and their rather jaded history as a remote area of the battle begins the take center stage. The Grimmelshausen fleet is sent to a satellite of the 4th planet in the Van Fleet system, which also happens to be where an Alliance base is located, where the Rosen Ritter are stationed. 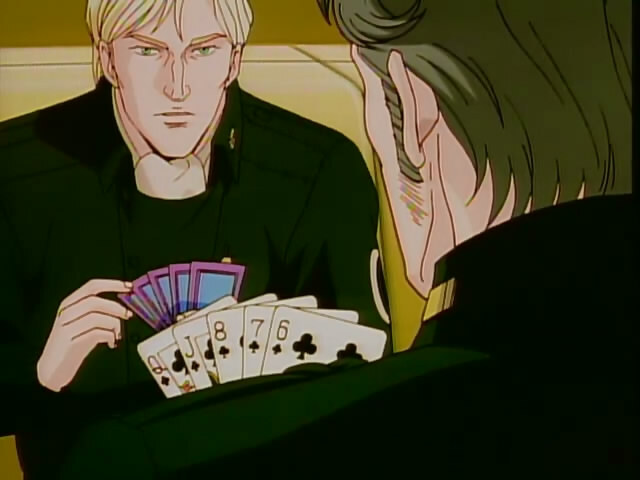 Conflicts over recon missions on both sides lead to a situation where Reinhard is serving under Luneberg and Schenkopp is chasing after his own commander. 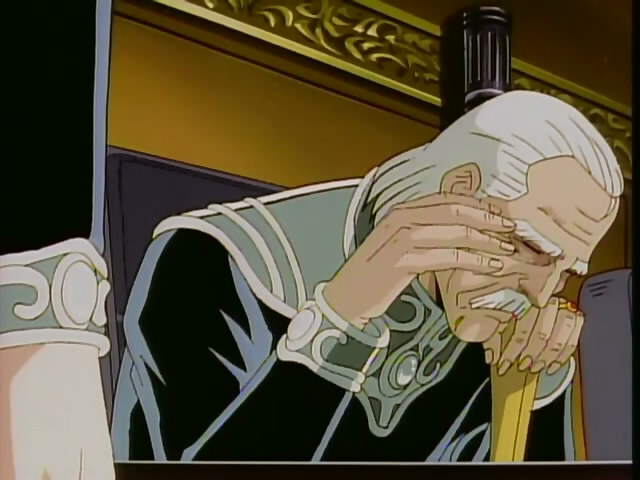 The episode features an interesting meeting where Grimmelshausen strategizes with his own commanders. It seemed as though he seemed to want to take whatever opinion was last given. So it went from Reinhard leading reconnaissance to not doing anything because others spoke up to Luneberg commanding it on his own as an expert on land combat. This last word wins way of commanding lowers Reinhard’s opinion of his superior even more. Just think of this conversation as his way of wishing he had talent more than unfortunate good luck. After that came a one-on-one conversation between Grimmelshausen and Reinhard. The takeaway from this is that Grimmelshausen is jealous of Reinhard for what he has at such a young age. He even acknowledges that he has hasn’t really earned anything that has happened to him in his career since he thinks he would have been doing pointless work if his 2 brothers would not have died giving him a title. His own knowledge of his limited talent had given him an appreciation for those who do. 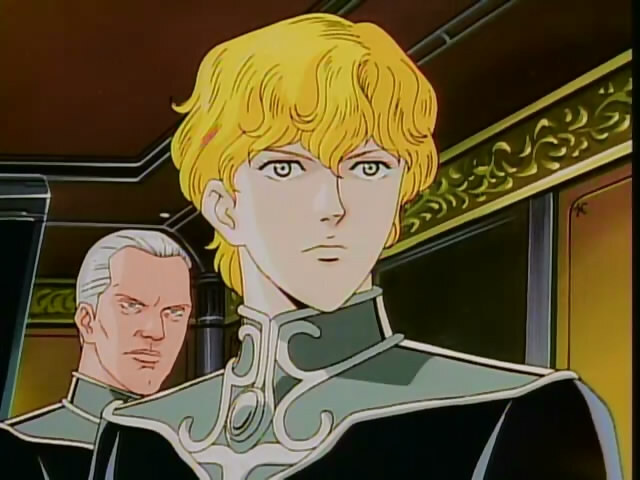 However, Reinhard was angry that he would have to serve under Luneberg for this mission. 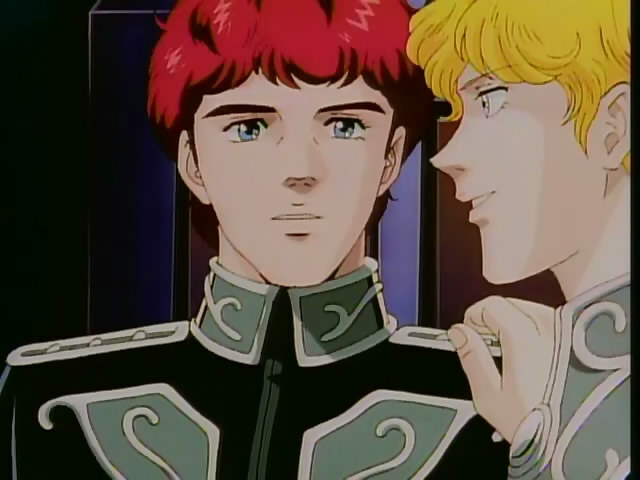 Kircheis was worried of course since his entire time with Reinhard had transformed him into someone who always worried about Reinhard. However, it’s probably a better experience for him in the end. Schenkopp sporting a flush, but what did Linz pull? On the Alliance side, there’s the always fun internal politics surrounding the Rosen Ritter. Wahnschaffe, who was from an Imperial military family, was leading the unit at the time, but the quartet led by Schenkopp was pretty much known as the best of the Rosen Ritter. Wahnschaffe had Schenkopp arrange for vehicles and men for a reconnaissance trip to check out the Imperial base. When they do not return in a reasonable amount of time, given the history of the group (about half of the previous commanders had fled), the possibility of desertion comes to mind. Schenkopp grabs Linz, Blumehart and Decken to go get their commander back. As their chase got underway, Schenkopp began singing a song called “Drei Rot,” a song he liked because his father hated it. Their previous commander used to sing it, but Blumehart had not heard it since Wahnschaffe took charge. Linz also made the point that the Rosen Ritter could not be broken up since it was a propaganda tool to use against the Empire, even if all of their men kept deserting. The overall shape of the battle is beginning to take stage as the Alliance Admiral Cerebrese, must take on front-line duties outside of his mastery of rear-line support. The conflict within the Rosen Ritter threatens the Alliance’s control of the area. At the same time, Reinhard may have to trust that Luneberg knows what he’s doing. Reinhard: oblivious to the worries of those closest to him. It's what makes him great. Thoughts: This seems like a story where Schenkopp assumes command of the unit and fights Luneberg for superiority in ground combat. Reinhard serving under Luneberg could be interesting as well. They should in theory have complimentary skill sets, but Reinhard has obvious troubles serving under people. I wonder how this will end up playing a role in the larger battle though. Hadn’t seen the last Gaiden you posted one but I’m back to following your blog. This Gaiden is actually probably the one that is closest to the original series in feel and pacing. I was thinking about the point you make in the last paragraph. Reinhardt we know, was made to command, not to follow, but I wonder sometimes how he would have behaved if he had had a truly gifted commanding officer who respected also respected his talent and accomplishments. He just seemed to be cursed by the fact that he either had commanders who openly hated him, or appreciated his talents but had none of their own. Then after he no longer had to worry about that, he had to deal with subordinates who were less talented than him or wanted to defeat him, but he sort of invited that on himself. No doubt that it is, considering it fought a war for it’s own independence. Yeah, this Gaiden is basically a season of LOGH, just a little bit shorter, with a great climax.